Fasting for Weight Loss: Is It Safe? Most fitness professionals can recite the energy equation by heart: Energy Expended > Energy Ingested = Weight Loss. In a nutshell, it means that if your energy expenditure exceeds the amount of dietary energy consumed, you will lose weight. 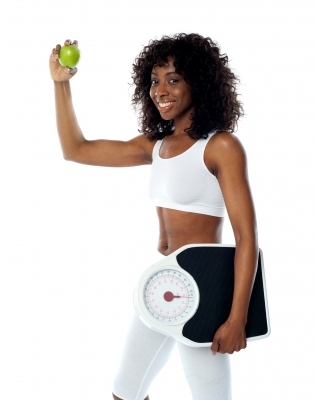 However, when it comes to very low calorie weight loss plans, most of us become squeamish. We have been told for decades that weight loss plans with a caloric intake of less than 1500 calories daily are unsafe. So if fasting is bad for you, why are the health benefits so good? While fasting may be beneficial to many, some people should not fast. Athletes performing at peak levels may see a performance drop during fasting. The same is true of fitness enthusiasts. Pregnant and lactating females should not fast, nor should feeble older adults. Individuals who are extremely thin and underweight should avoid fasting, as should Type 1 diabetics. People who take pharmaceuticals should consult their health care provider before undergoing a fast. When you abstain from food consumption for extended periods of time, you give your body a rest from the constant onslaught of nutrients, toxins and waste products it normally has to deal with. It then has time to rest, repair, reset and rebalance. To enhance the reparative effects of fasting, it is recommended you reduce physical activity to allow your body to rest. Since abstaining from food means consuming fewer carbohydrates, you body will shift energy pathways during an extended fast, relying on ketones rather than glucose to produce energy from fat. With no sugar to burn, you will tap into your adipose cells for energy, reducing unwanted body fat. During intermittent fasting, you fast for a relatively short duration of time (but longer than normal for most people), and then allow yourself to eat for a given period. A popular approach to intermittent fasting is to eat within a four to six hour window each day, and fast for the rest of the day. For example, you could hold off eating until 2:00 in the afternoon, then eat healthy foods in moderation until 6:00, then stop eating until 2:00 the following afternoon. A sustained fast generally lasts non-stop, for a period of three days up to several weeks. During a sustained fast, people often drink broth, tea, and diluted juices in limited quantities. During any fast, you should opt for pure organic ingredients and purified water. Drinking plenty of water facilitates the weight loss process and helps flush toxins from your system. If you have symptoms of extremely low blood pressure, dizziness or extreme malaise, you may need to modify or end your fast. Next post: Identifying Special Populations: Carve Out Your Niche to Grow Your Business!